This is a follow on to my Learn to sew with a sewing machine course, were you learnt some basic skills in sewing. The technique you will learn in this course forms building blocks for any and every sewing projects. We would dive into the world of seams, buttons, buttonholes and zips. 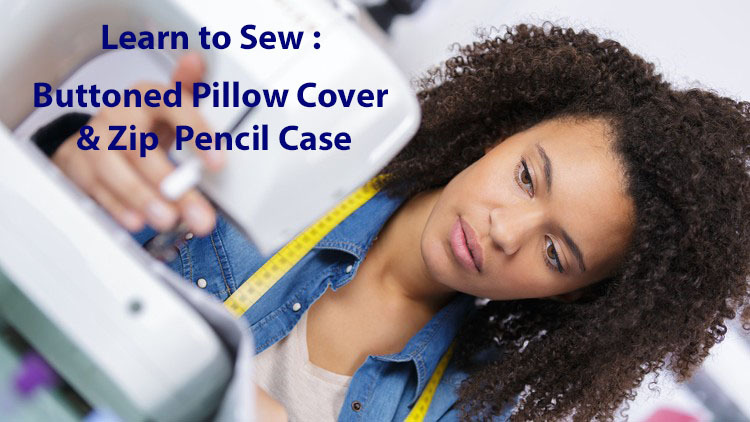 The techniques you learn would be applied in the sewing projects Buttoned Pillow Cover & Zip Pencil Case which are part of this course. This entry was posted in Uncategorised on 14th March 2017 by lisa. How to Bag out a Coat Lining - with Videos!